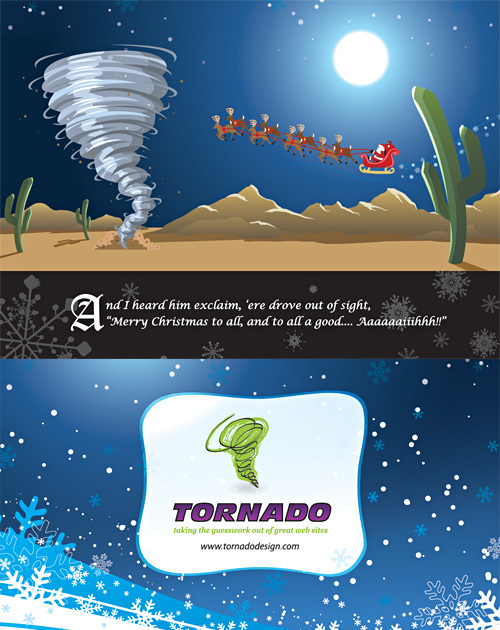 Seasoned Greetings from Tornado Design! Oh wow, how time flies… I can’t believe it’s already been a YEAR since that was designed! Yikes!! Oh I know! What a year, too! We decided not to do cards for 2008. We’re thinking about just sending out an email newsletter this year. Nicely done guys! Like the colors and feel of this.